Here, you'll find a few tips and tricks to help get people talking about your presence at the show on the social networks. you can use your fan page to let people know that you will be at the show – post a few lines showcasing your products/services. Follow the @retromobile account on Twitter, Facebook and Instagram so that you can respond to news about the event, share it and stay up-to-date. You’ll have fewer characters on this particular social network with which to get your message across. So it's a good idea to be succinct in what you say to users. Before the show, you can also send out a tweet encouraging people to come and meet you at your stand: "We will be delighted to see you at our stand – begin your visit by enjoying coffee with us". Using customisable banners available in your exhibitor area. You can also direct users to your website with the help of links embedded in your tweets or on your Facebook postings. This will spread information about your attendance at the show. Showcase your presence and make people want to go and visit your stand. Social networks are a way of letting people know – extremely quickly – what you are up to. So use them to pique people's interest on Twitter or Instagram! 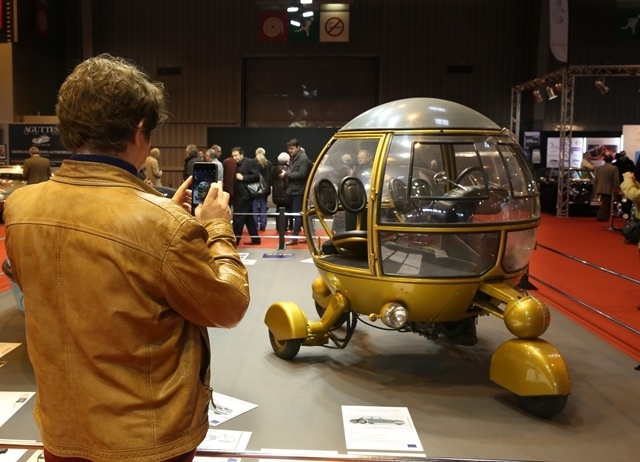 Use the dedicated hashtag for the event – #retromobile – whenever you are publicising your presence. This way, users looking for information about the event can find you, and you'll raise your profile very easily. Use Instagram to cover the event's key moments, as well as meetings with your clients/prospective clients. Would you like web users to be able to meet you? You now have everything you need to get people talking about your presence at Rétromobile, maximising your chances of being seen and attracting new clients.